NSP has been awarded £4,000 (approximately $6929 Canadian dollars) from the Everest Marathon Fund! Funds were raised through their annual race, where trekkers tackle a gruelling and treacherous course. The race starts at Gorak Shep (5184m), just below Everest base camp, and finishes in the Sherpa ‘capital’ of Namche Bazaar (3446m). The course is a measured 26.2 miles/42 km and, although it is basically downhill, the trail undulates and there are two steep uphill sections. The race starts at 6:30 am and there are cut-off points at Tengboche monastery (14 miles – 12.30 pm) and Chorkhung (20 miles – 2.30 pm), just above Namche Bazaar. The last 6 miles, out to Thamo and back, are on an exhausting undulating trail. It is essential to finish by nightfall at 6.00 pm. Thank you to all of the incredible competitors! NSP's Annual Fundraiser a Huge Success! Thank you to everyone who came out to our annual fundraiser in Burlington, Ontario! We hope that you had as much fun as we did! The total raised was $30, 000! This money will be put to great use by our friends in Nepal. Much needed latrine projects will be completed, helping to ensure that our villages have access to safe drinking water. 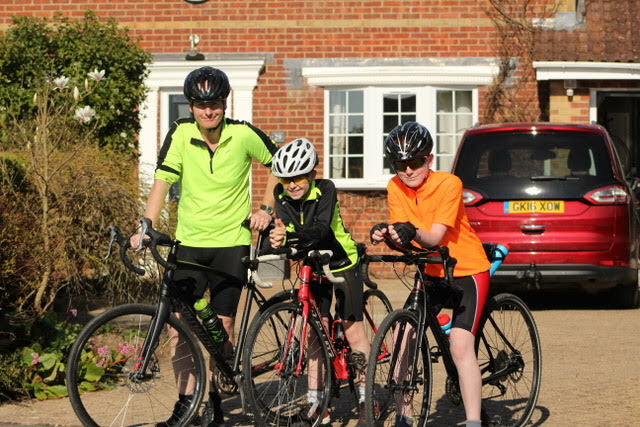 Two young boys and their father raised £555 in support of Nepal School Projects during a100 Mile Bike Ride Charity Event! We are overwhelmed to hear of their success at this amazing feat. We are also exceptionally grateful for the support of Judy Cochand who has dedicated so much time and energy to NSP by rallying her community to support us. Judy not only organized an incredibly successful bake sale at the Forres Sandle Manor school, but inspired friends like Jane Whitely and the Perkin brothers to support us as well. Thank you Judy! 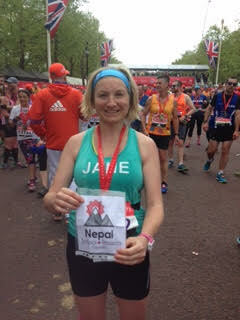 ​Jane Whitely finishes the London Marathon with a medal in support of NSP! The training and timespent preparing for such a race is unbelievable and to have had her support is very meaningful to us. We are exceptionally grateful. Thank you Jane! 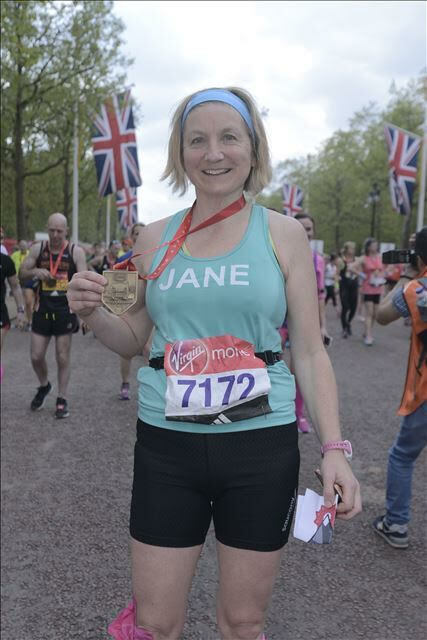 Our wonderful friend Jane Whitely will be running the London Marathon on April 23rd and as part of her run she is generously raising funds for NSP! This is a magnificent event with 40, 000 runners! Please support Jane and NSP by donating! You can either contact her directly (E-mail: jcochand@fsmschool.com) or go to the following websites. Donate Your Aeroplan Miles to NSP! NSP would like to thank all of those who attended our fundraiser at Jake's Bar and Grill in Burlington! Your incredible generosity has allowed us to move forward with building our first-ever "earthquake proof" school in Kavre! Schools should be a beacon of hope and optimism and we are proud that the students in the photo below will now attend a school that will remain strong and in-tact through earthquakes and other natural disasters. Click﻿ here ﻿to view the incredible video they created that highlights the power of students helping students and why YOU should get involved. The video was created by Elia Sailkaly-an award winning filmmaker!